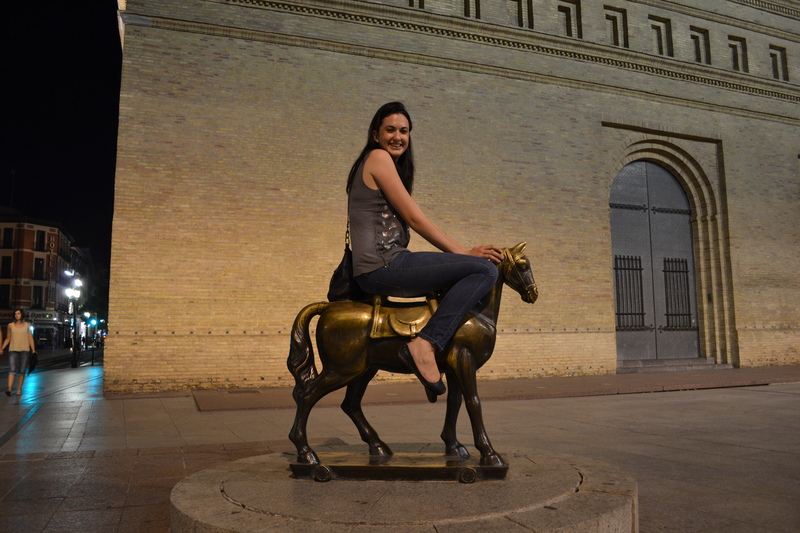 After another monster drive across almost nothing at all, we arrived at the next stop: Zaragoza. 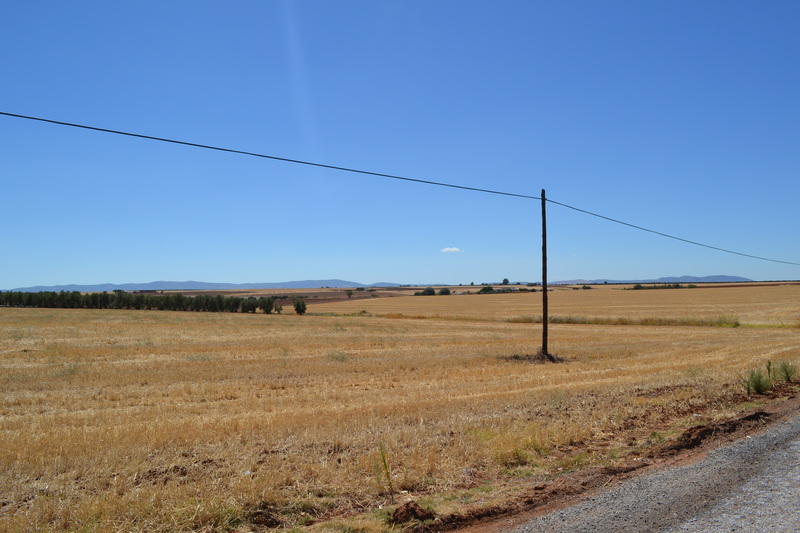 (Seriously though, the interior of Spain appears to be mostly desert. Check out the photo below for our view for 99% of the trip). 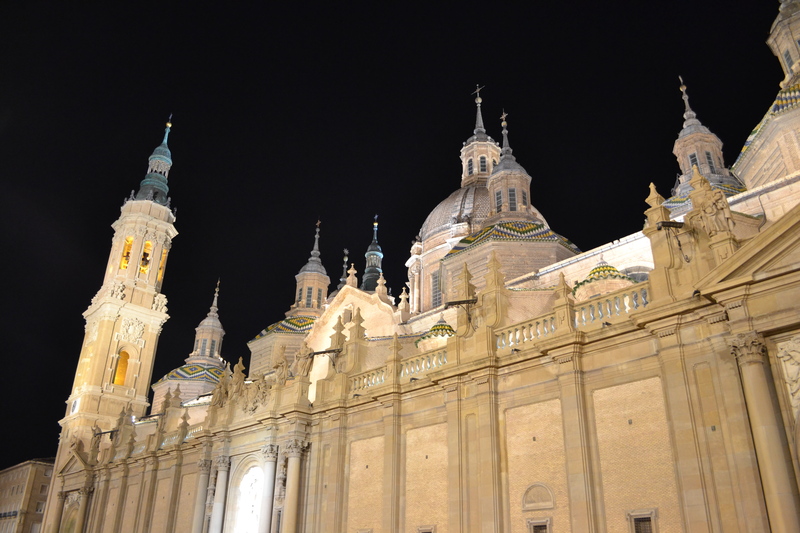 Zaragoza wasn’t somewhere we ever intended to go until the day before we went there, so we arrived with almost no idea what to expect (beyond the standard Lonely Planet blurb of “…the main cathedral is one of the best examples of [insert style] architecture around…”). 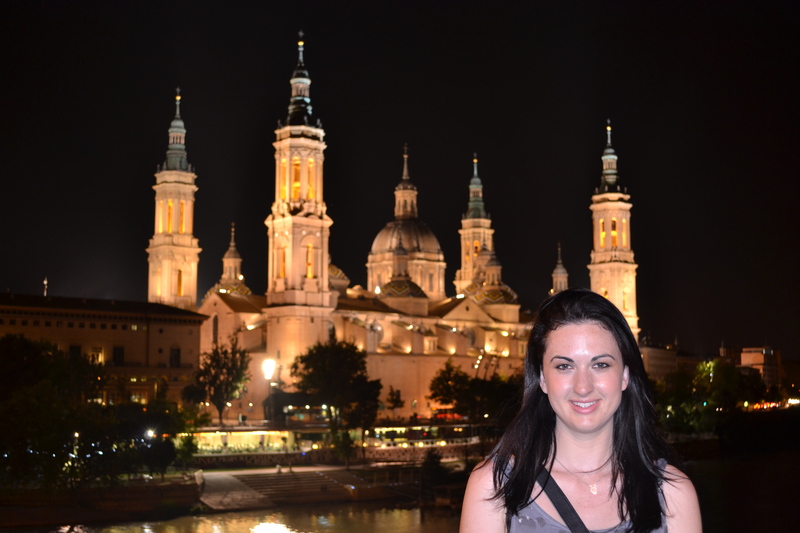 Our hotel was on the edge of the old town (thankfully), so after dropping off the car – via a car elevator, which was awesome – we headed out to find out what the city had to offer. 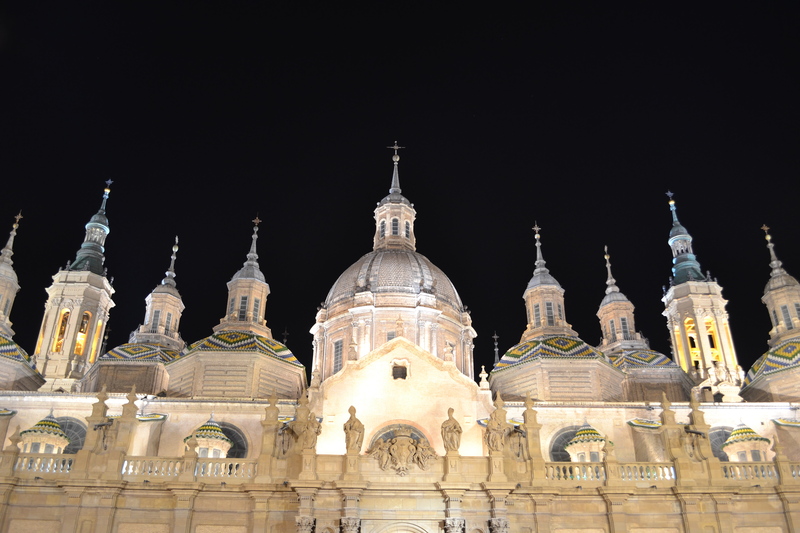 The first place we stopped to take in a view was by the main cathedral, which was indeed one of the finest examples of Baroque architecture I’ve seen. 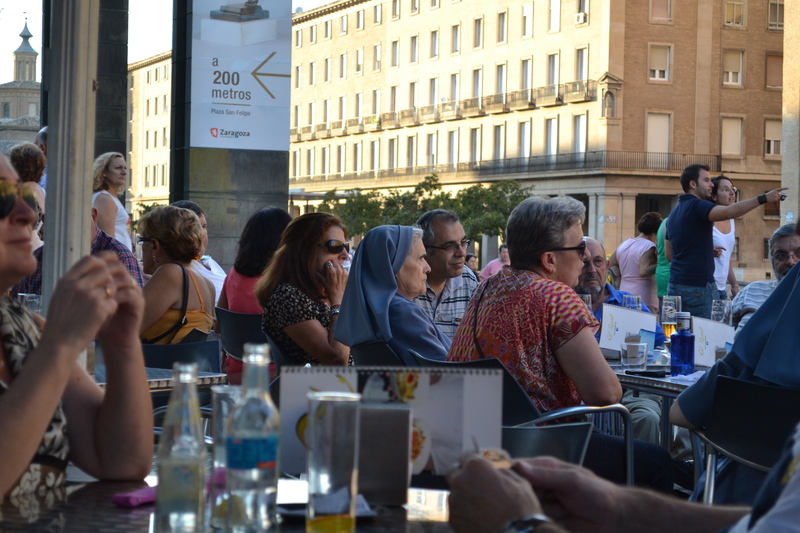 Here even the local nuns were out enjoying a beer in the sun, so we figured it was probably alright for us to have one as well. 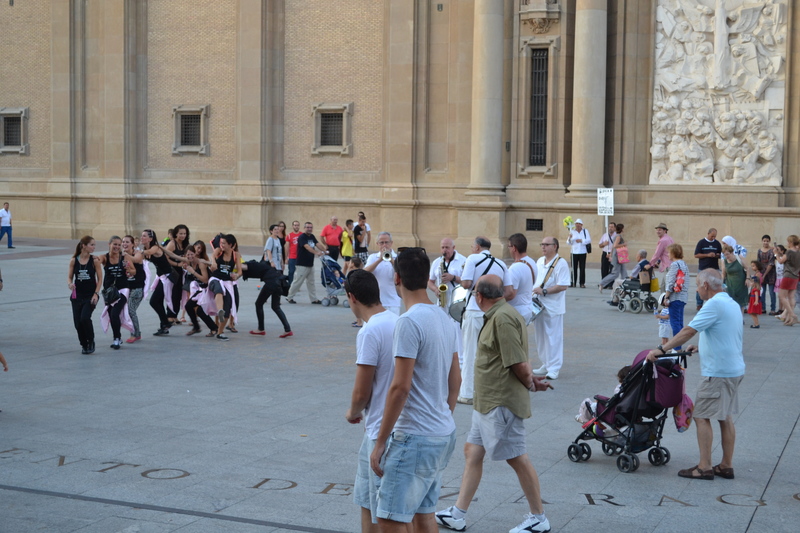 It was also here that we saw our first Zaragoza hens party. The local tradition seems to be for the bride and bridesmaids to hire a brass band and drummer to follow them around town, while they drink a fair amount and dance with everyone they meet. In the daylight it seemed a little weird, but once night fell and town started to wake up we saw several more, and it actually looked like a heap of fun. After that we went to check out the food district, known as ‘El Tubo’ (the tube) because it is an absolute maze of one-way pedestrian streets streets. We were initially thinking of staying at a hotel within this area, but after seeing just how narrow and just how busy the streets were, I was very glad we chose not to (‘pedestrian’ is a loose term over here, by the way – while by New Zealand standards these were definitely walking-only streets, in Europe the general rule seems to be if there is any way a car can fit down it then you are free to drive down it). El Tubo turned out to be jam-packed with cool little tapas bars and beer gardens. We hopped around a few, practicing our Spanish and reminiscing a little of San Sebastian, and once we were full we decided to go and do a bit more sightseeing before bed. In the morning we found one of the few places in town which was actually open at 9am, had some breakfast and then got ready to hit the road. It was another lightening visit, but also the last for a little while: our next stop was Moux, a small village in the south of France where my relatives live, and where we would be stopping off for a few days.